You are at:Home»iPhone»Apps»Siri Not Working On iPhone? Here’s The Real Fix! Siri won’t work on your iPhone and you don’t know why. Siri is one of those great features that has really changed how we use our iPhones, making it easy to get directions, send messages, and even find movie times without lifting a finger. In this article, I’ll explain why Siri is not working on your iPhone and show you how to fix the problem for good! If Siri is not working, make sure that Siri is enabled by going to Settings -> Siri & Search and looking at the three switches at the top of the menu. 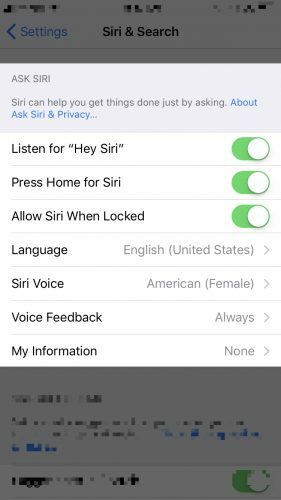 Make sure the switches next to Listen For “Hey Siri”, Press Home for Siri, and Allow Siri When Locked are green and positioned to the right, otherwise Siri won’t work! A lot of Siri’s functionality is based on your location, so we’ll make sure Siri Location Services are turned on. If you’ve been getting odd results that show you shops in other states or the wrong time zone, then something may not be set up correctly. To check your Location Services, go to Settings -> Privacy -> Location Services and make sure the switch at the top of this menu next to Location Services is turned on. 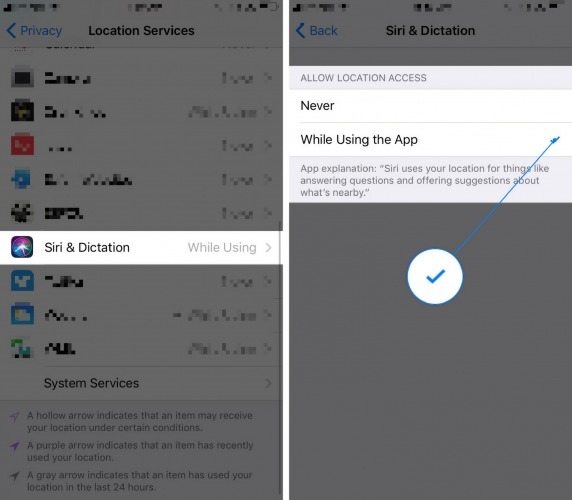 Make sure that Location Services is also turned on specifically for the Siri app. Even if Location Services is on, you still have the ability to turn it off for individual apps. Go to Settings -> Privacy -> Location Services -> Siri & Dictation and make sure there’s a small check next to While Using the App. Once Siri Location Services have been turned on, you can help Siri reset by toggling Airplane Mode off and back on. Open the Settings app and turn on the switch next to Airplane Mode. Wait about 15 seconds, then turn the switch back off! Local Siri results should start showing up now. Your iPhone has to be connected to Wi-Fi or a cellular network in order to use Siri. 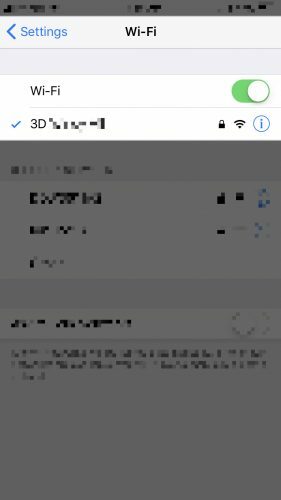 If Siri is not working on your iPhone, double-check to make sure your iPhone connected to Wi-Fi or has enough cellular data to use Siri. To make sure Wi-Fi is turned on, open the Settings app, tap Wi-Fi, and turn on the switch next to Wi-Fi. Below the switch, you should see the name of the network you’re connected to! To check your cellular connection, open the Settings app and tap Cellular. Make sure the switch next to Cellular Data is turned on. 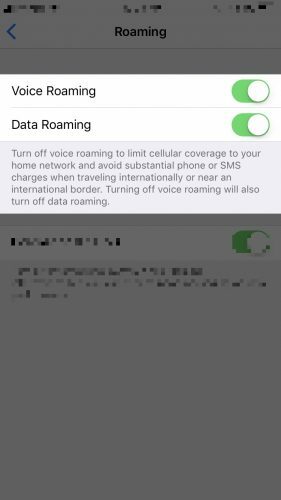 Next, tap Cellular Data Options -> Roaming and turn on the switches next to Voice Roaming and Data Roaming. Siri, just like the other apps on your iPhone, is controlled by software, the code that tells your iPhone apps and hardware how to work. If something has gone wrong with the software, it could be the reason why Siri is not working on your iPhone. One of the first things you can do to try and fix a software problem is restart your iPhone. To do that, hold down the power button down for a few seconds until you see the words “slide to power off” appear on the screen. Then, swipe the red power slider from left to right to turn off your iPhone. Wait a few seconds, then press the power button again until the Apple logo appears in the center of the display to turn your iPhone back on. Resetting all settings on your iPhone erases all of your iPhone’s saved settings and resets them to factory defaults. 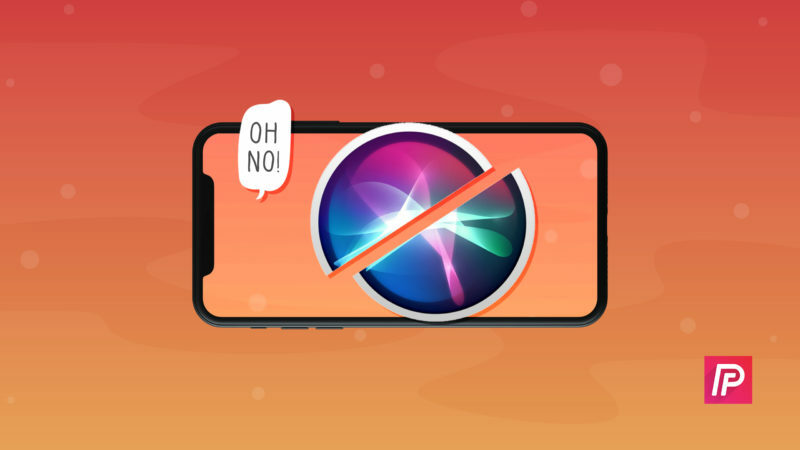 Since software issues can be incredibly difficult to track down, we’ll just erase all the settings on your iPhone to make sure we eliminate the problem if Siri is not working because of a software issue. 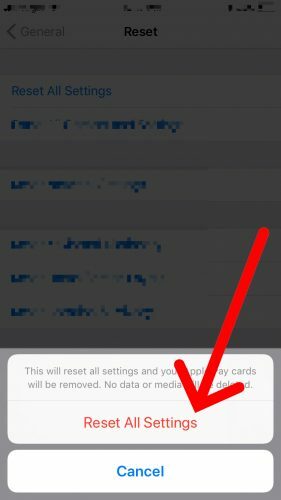 To reset all iPhone settings, go to Settings -> General -> Reset and tap Reset All Settings. Enter your iPhone passcode and tap Reset All Settings to confirm your decision. Your iPhone will reset all of its settings, then restart. Our last software troubleshooting step when Siri is not working is a DFU (Device Firmware Update) restore. This is the deepest type of restore that can be performed on an iPhone! Check out our article to learn how to put an iPhone in DFU mode. Siri, Are My Speakers Working? If Siri still won’t work on your iPhone, there may be a hardware issue with your iPhone’s speakers or microphone. Have you had trouble making phone calls or listening to music through your iPhone’s speakers, you may need to get your iPhone repaired. If your speakers are causing the problem, you have a few options. You can try to clear out any gunk, lint, or debris from your speakers using an anti-static brush or new toothbrush. If your iPhone is still protected by a warranty, take it into your local Apple Store to see if they’ll fix it for you. Make sure to schedule an appointment first! If your iPhone isn’t covered by a warranty, we recommend Puls, a come-to-you repair service that’ll fix your iPhone at your home or workplace — and sometimes, they’ll do it for a cheaper price than Apple! Siri, Can You Hear Me Now? Siri is working on your iPhone once again and you can start to take advantage of all of its great features. Next time Siri is not working on your iPhone, you’ll know exactly how to fix the problem! If you have any other questions about your iPhone, feel free to leave them in the comments section below. Previous ArticleMy iPhone Doesn’t Vibrate! Here’s The Real Fix. Next Article Why Does My iPhone Make A Static Noise? Here’s The Fix!